A few California Kimptons are offering special extras to guests, all in honor of Movember. Planning a getaway at Hotel Solamar in San Diego during November 2018? Post a pic while there with #flashyourstache attached and enjoy a gratis beer flight, complete with a Movember mug. KIMPTON, which will 'stache-it-up, sweetly, for guests at a few of its properties while Movember is going, er, we mean "growing" on. 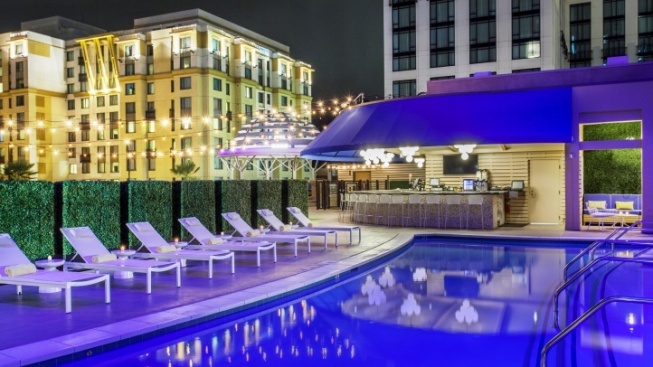 Planning on visiting Kimpton Hotel Solamar in San Diego? Post a snapshot while there with #flashyourstache attached and enjoy a gratis beer flight, complete with a Movember mug. Headed for the Kimpton Shorebreak Resort in Huntington Beach? There's a full-on Movember Package to book, and ten bucks'll be donated to prostate cancer research. Also, be sure to order a Doc Holliday cocktail, the one with the mustache carved into the drink's foam (a buck from the sip'll also be donated to a Movember-related cause). TWO MORE KIMPTON PROPERTIES,Kimpton Goodland in Santa Barbara and Kimpton Palomar in San Diego, are also deep in the Movember swing of things. Say "mustache" or "I mustache you a question" at check-in and nab some perks, like a possible room upgrade or fifteen dollars towards our food and/or beverage enjoyment while there.